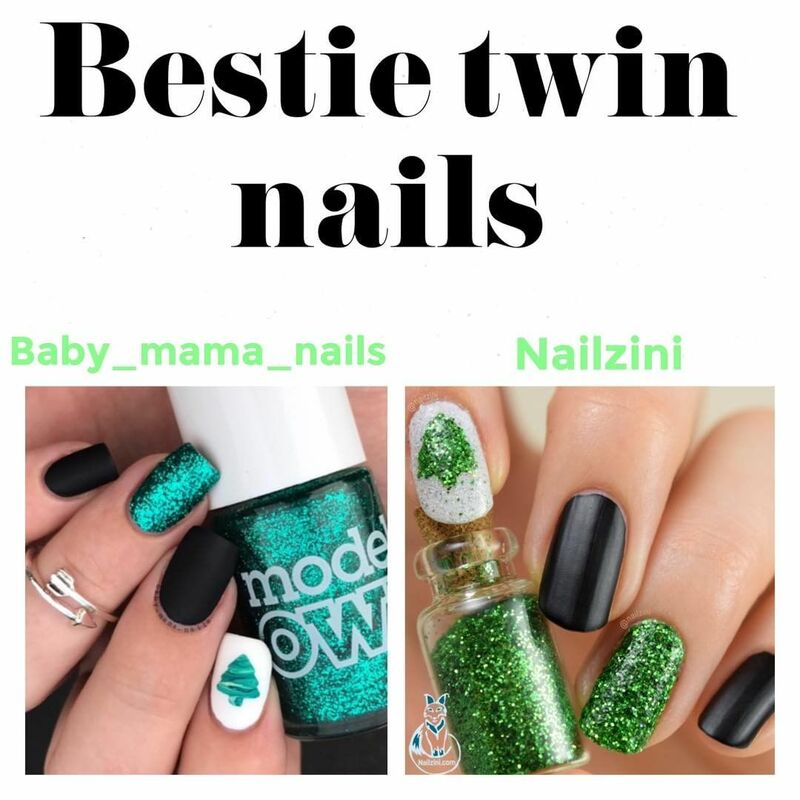 This weeks design is for another Bestie Twin nail colab, this time with the wonderful Rebacca from @baby_mama_nails. 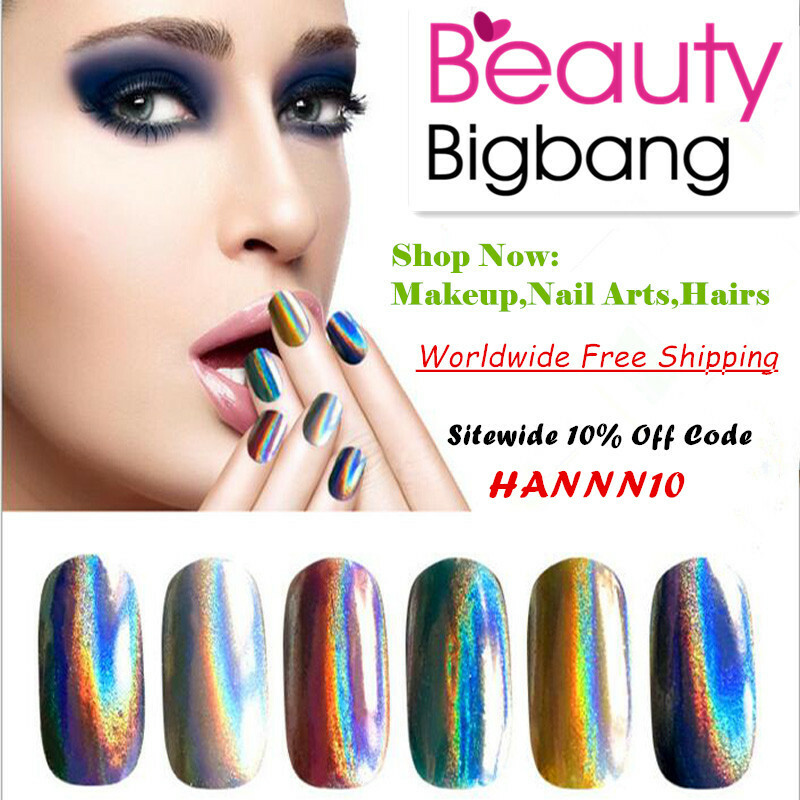 She is super talented and always come up with the most gorgeous mani's. She is also the one I got the genius hole puncher idea from so I'm forever grateful to her for thinking of it! Since we both love how easy it is to use hole punchers for nail art, she came up with this gorgeous Christmas design. The initial idea was marbled Christmas trees, but while trying out designs I fell in love with the cute glitter Christmas tree so I went with that one. For the matte black nails I applied one coat of "Neo-Noir" by H&M and a coat of "Silk Matt" top coat by Catrice Cosmetics. I found the most adorable little glitter bottles at Action so I wanted to use those for my glitter nails. I used "Ready for Takeoff" peel off base coat by UNT under the full glitter and Christmas tree nails for easy clean-up. For the full glitter nail apply a (gel look) top coat first and let it dry, then another coat and while it's still wet sprinkle on the glitter. Make sure to put a piece of paper under your nails so you can catch all the excess glitters and pour them back into the bottle. Lastly I applied 3 coats of the gel look top coat by Hema to seal in all the glitter. The Christmas tree is made with a homemade nail vinyl using scotch tape and a Christmas tree hole puncher from action. The base color is one coat of "Blanc" by Essie, the I sponged on a holographic glitter top coat from Hema. The glitter top coat isn't very covering at all, so by using a sponge the excess polish gets soaked up and you're left with all the glitters! After sponging on the glitter apply a fast drying top coat and wait until it's completely dry. To make the vinyl, you'll need two pieces of scotch tape (around 2 inch / 4 cm each) and stick them together. Stick the sticky side of one piece on the non-sticky side of the other, so you still have one sticky side. Cut out a Christmas tree in the middle using the hole puncher and place the scotch tape on your nail. Press down firmly to make sure it sticks well. 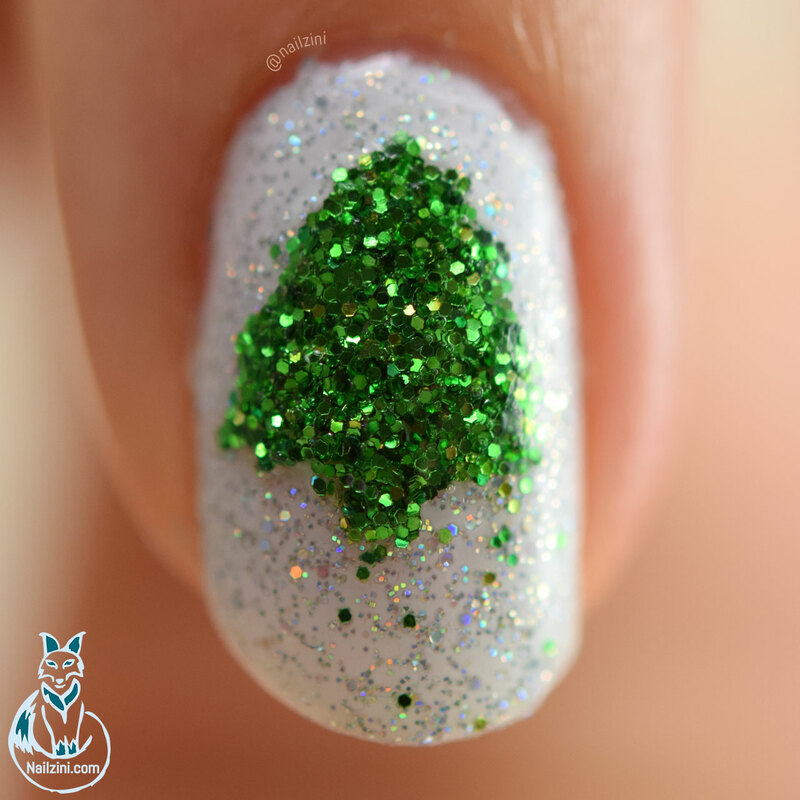 Apply a non-fast drying top coat over the Christmas tree hole and sprinkle on the glitter while it's still wet. Gently peel off the scotch tape and apply a generous amount of top coat to seal in the design. I used two top coats in total. And that's it for these easy, super sparkly Christmas nails! You can watch the video below for a full tutorial.